A Cloud Layer is an object representing a layer of realistic volumetric clouds with convincing dynamics. Simulation of multiple types of clouds: cirrus, stratus, cumulus, etc. Local clouds coverage simulation (with the FieldWeather object) with the ability to control movement of numerous groups of clouds without performance drops. Cloud density simulation based on a 3D noise model. Large number of configurable cloud layer parameters (height, density, lighting, shadows, wind, etc.). Visibility distance up to 400 km. 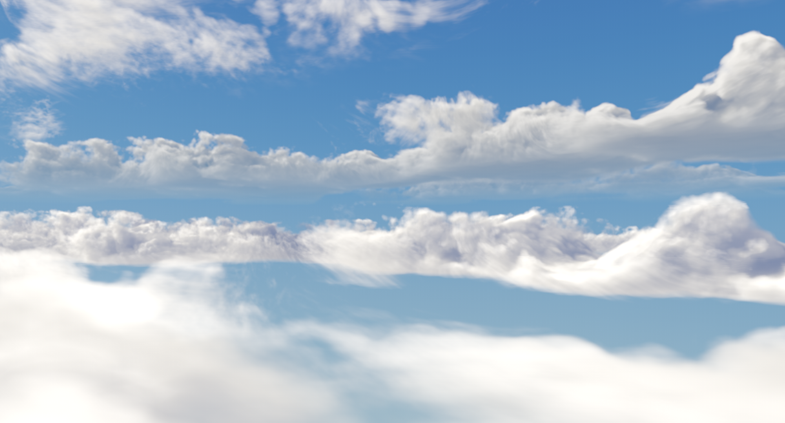 Several cloud layers can be used to provide realistic simulation. A clouds_base material to adjust clouds appearance. 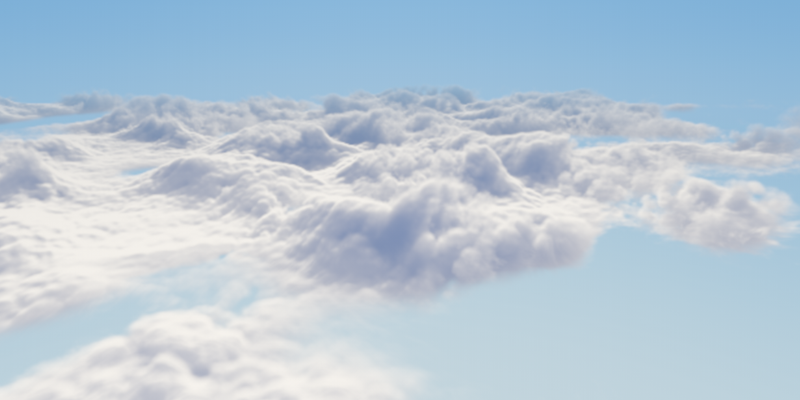 Rendering Settings for clouds to adjust common parameters for all cloud layers on the scene. A Field Weather object to specify areas with local weather. A layer of clouds will be added to the scene and you will be able to adjust it via the Parameters window. Cloud layers have a realistic look with the default settings, so you might not need to tweak them at all. However, when necessary, you can adjust a large number of parameters to achieve the desired look of your cloud layer. By using the corresponding Rendering Settings applied to all cloud layers in the scene. By using the parameters of clouds_base material providing an opportunity to tweak each layer separately. 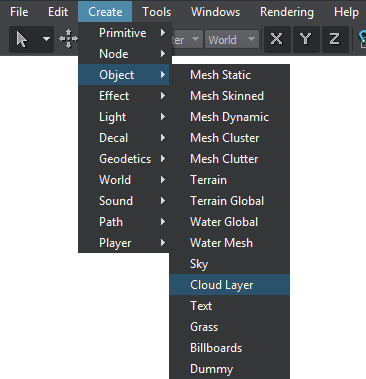 You can use several Cloud Layer objects each with its own material inherited form the clouds_base material.